Undateable is not unrenewable: NBC’s freshman comedy about a group of socially awkward friends—and the sentient puff of AXE Body Spray trying to coach them toward better love lives—has received an order for a second season. The renewal comes as a surprise, as many early reviews of Undateable (like this one) took its bumpy production (three separate actresses were cast as the female lead, with eventual recurring player Briga Heelan getting the role twice), May premiere date, and two-episodes-a-week scheduling as signs that NBC was dumping Undateable after the first go-round. But like an OkCupid match whose profile threw up some red flags but ultimately proved to be a fun diversion (particularly during the summer, when so few TV series are single and ready to mingle), the show is getting a second, 10-episode-long chance. 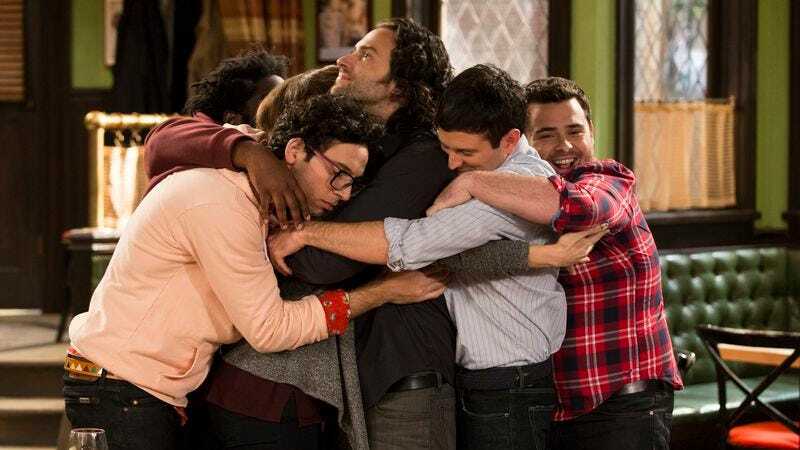 Undateable marks NBC’s second renewal of the summer, putting the show in league with The Night Shift and setting up a potential future crossover in which Chris D’Elia and The Night Shift’s Dr. Hog McLooseCannon engage in a riveting 5-o’clock-shadow-off.